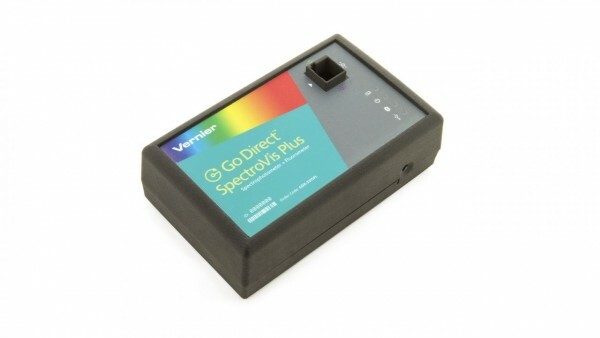 Produktinformationen "Go Direct™ SpectroVis® Plus Spectrophotometer"
The Go Direct SpectroVis Plus Spectrophotometer quickly measures a full wavelength spectrum. It directly connects wirelessly via Bluetooth® or wired via USB to your platform. Weiterführende Links zu "Go Direct™ SpectroVis® Plus Spectrophotometer"
Garantie(Jahre) "Go Direct™ SpectroVis® Plus Spectrophotometer"
Weitere Info "Go Direct™ SpectroVis® Plus Spectrophotometer"
Kundenbewertungen für "Go Direct™ SpectroVis® Plus Spectrophotometer"